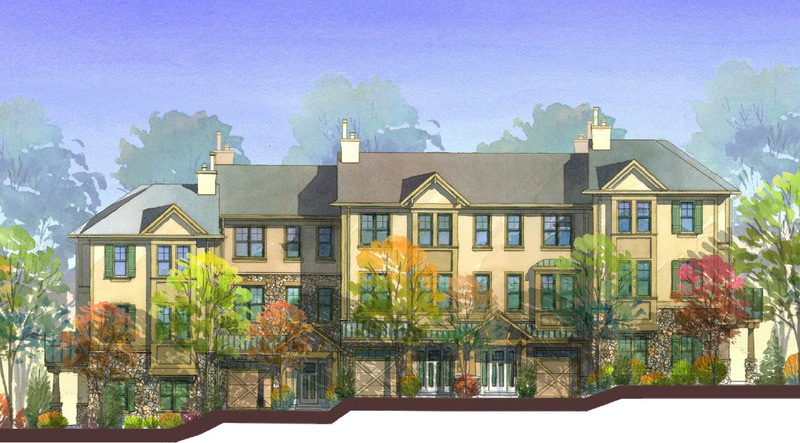 MOUNTAIN LAKES, N.J. – – The Legacy of Mountain Lakes has taken significant steps forward as it moves towards its preview sales opening later this spring in this sought after Morris County Borough. Ground was recently broken for new townhome model buildings which will feature professionally-decorated residences that represent both of the community’s two distinct housing collections – the Signature and Carriage Series, according to HornRock Properties, developer of the intimate collection of just 39 residences rising on a distinctly suburban site. The homes are expected to be completed and ready for viewing this summer. “This is a very exciting time at The Legacy as we quickly progress toward our preview opening,” says David Hornblass of HornRock Properties. Preview sales will open shortly for those who have added their name to the VIP priority list at The Legacy. To participate in the preview opening, interested prospects can still join the growing list by visiting www.legacyofmountainlakes.com. “We expect this community and these homes to have broad appeal to homebuyers,” adds Maurice Hornblass, also of HornRock Properties. “For example, empty-nesters who want the opportunity to reside in an upscale care-free environment, yet still remain close to friends and family in northern New Jersey will certainly appreciate the prestigious Mountain Lakes location. Led by brothers Maurice and David Hornblass, HornRock Properties is a rising development company that’s quickly gaining a strong foothold in the mid-Atlantic region. The Paramus, N.J.-based developer of residential and commercial properties is building a sterling reputation for signature properties that combine quality construction, dramatic homes and a personal approach to customer service. In addition to Legacy of Mountain Lakes, HornRock Properties has launched an aggressive acquisition program to significantly expand its portfolio in the Northeast by acquiring real estate developments, with a focus on the New York/New Jersey urban and suburban markets.